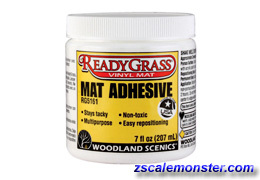 • This adhesive will permanently apply grass mat over any surface. 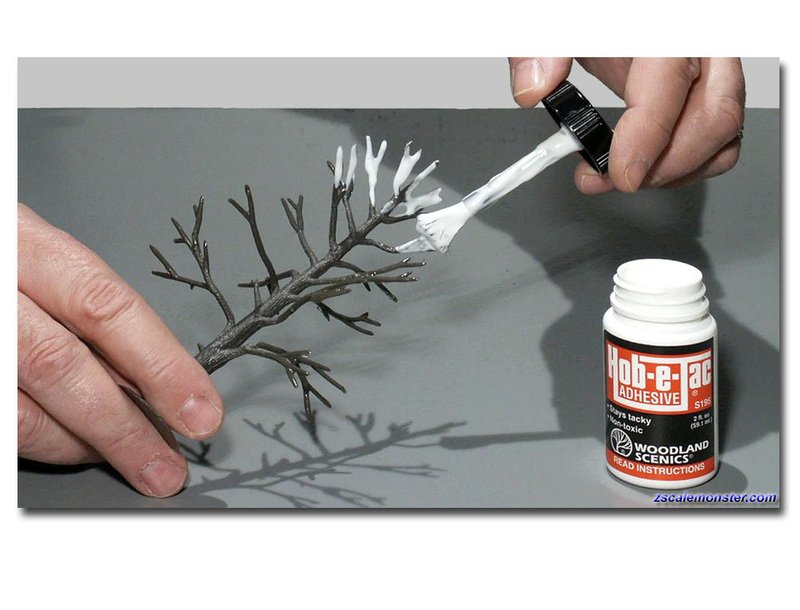 • Just brush on and paste onto surface. • It will cover a sealed surface of 5,000 sq. inches. 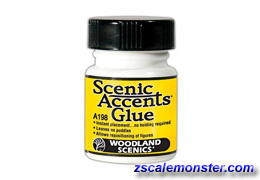 • Apply Scenic Glue and press scenery material into adhesive. 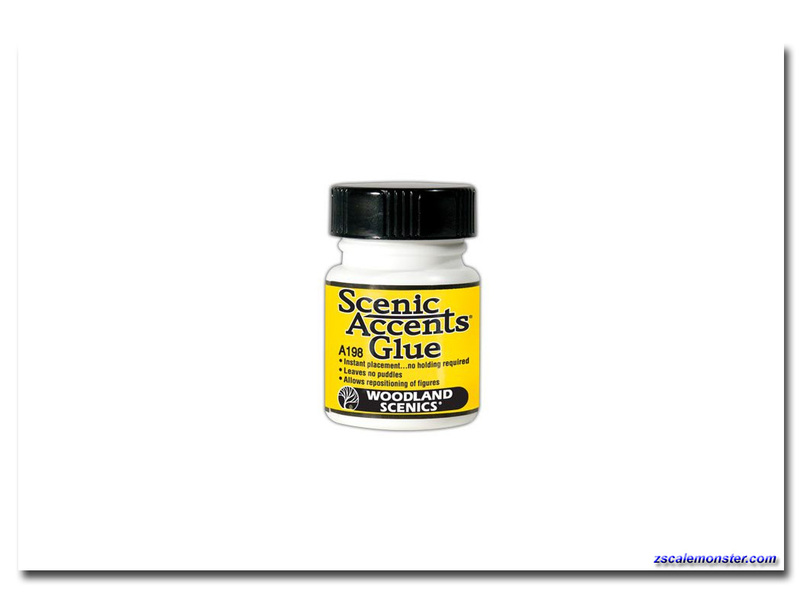 • A specially-formulated, non-odorous adhesive. • Used for applying landscape materials. 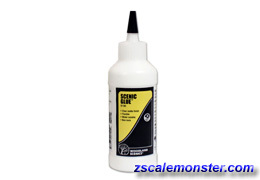 • Scenic glue is a thick, flexible, strong-hold adhesive. • Dries clear with a matte finish. 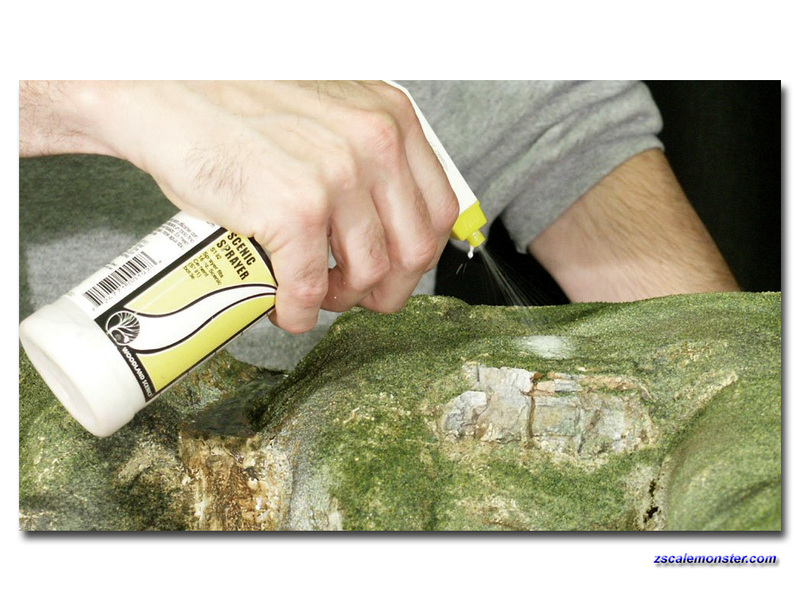 • A ready-to-use spray or brush-on adhesive. • This multi-use product is non-toxic, water-based. • Comes with a long siphon tube and spray head. 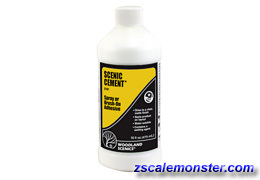 • Spray head fits the Scenic Cement™ bottle. 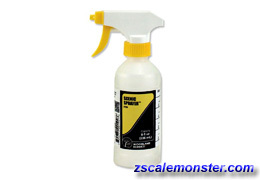 • Nozzle is adjustable from a very fine mist to a steady stream. 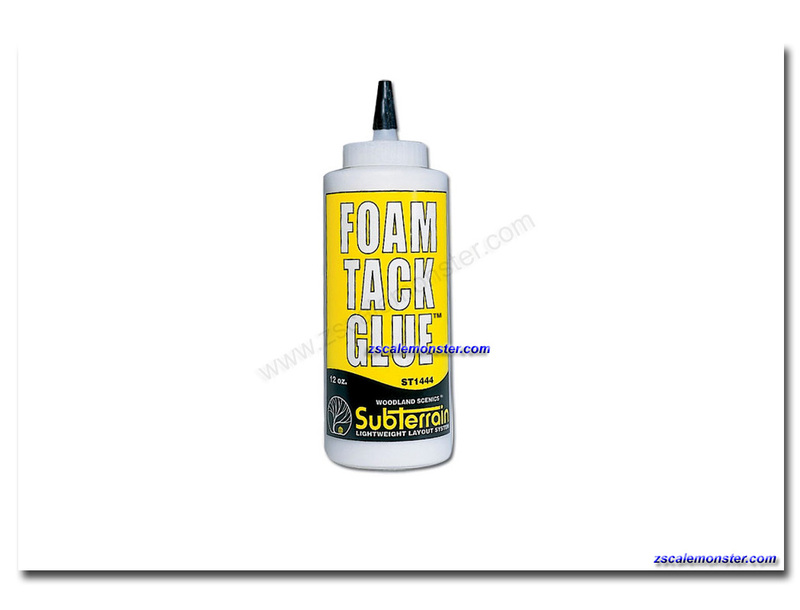 • Multi-purpose, water-soluble, high-tack adhesive. • Perfect for attaching Clump-Foliage™ to tree armatures. 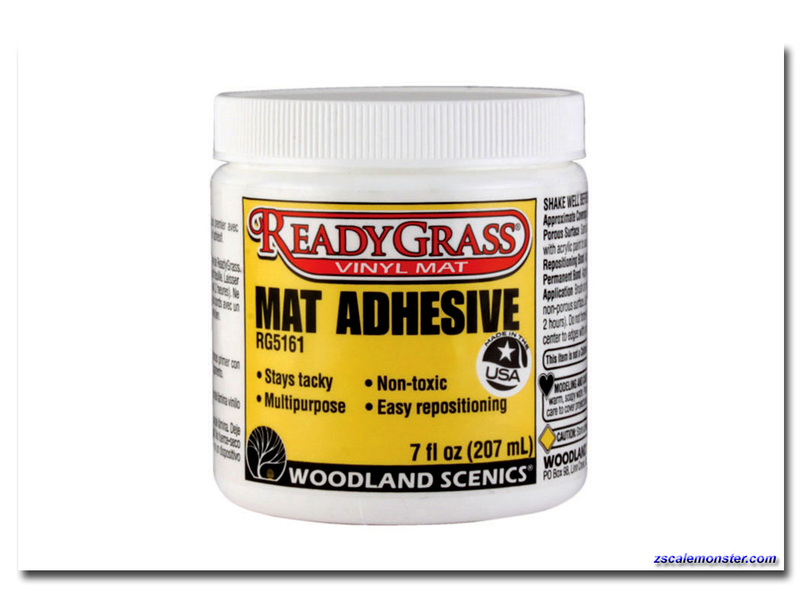 • Also use to glue Field Grass and Fine-Leaf Foliage to layout. • Formulated for instant placement of figures. • No holding required and allows for easy repositioning. • The no-drip, no-mess, dries clear with no puddles or residue. 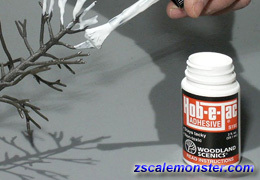 • Water soluble, high-tack, compatible with plastic, wood and metal. • Specially formulated for foam. • Also effective on wood, cork and Homasote®* board. 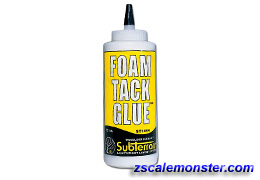 • Foam Tack Glue dries clear, is high-tack, non-toxic and water soluble. 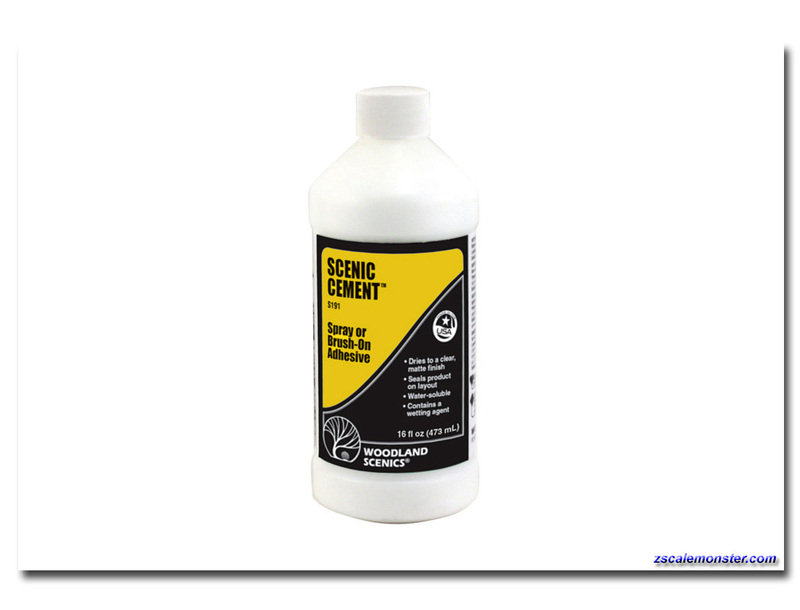 • Use as a contact cement whenever bonding two large surfaces.